So, you've decided to make the move to Chicago! Whether you're moving for a new job, a fresh start or whatever the case may be, you're probably full of questions (read: super stressed out & scouring the internet for what it's actually going to be like). Chicago has one of the best public transportation systems in the country, and it’s also my absolute favorite way to get around the city. In my opinion, it’s one of the most reliable methods of getting around. While many people don’t own cars in the city, there are still quite a few that opt to drive or use a rideshare service. If you have a car see the city sticker section below. Pro Tip: If your car is in the same spot for 7 days, it may be considered abandoned & thus can be towed. If your car has been towed, check out this vehicle locator or call 3-1-1. Also, a lot of people bike! We’re getting more and more lanes dedicated to bicyclists. If you don’t have your own, you can always hop on a Divvy bike starting at $3. Check out Divvy for more info. Are winters really that bad? They're definitely cold & we usually get at least one snow day a year. But, as long as you stock up on a solid winter coat & snow boots (and don't be embarrassed, we'll all be in an ugly pair of boots) you'll make it! Believe me, I took the CTA and walked to work during Chiberia 2014 with a wind chill of like -40 degrees. You'll be fine. You will also hibernate. It's just a fact--no one really likes to get out in the winter. You have the summer to make up for it. Chicago brings out its fleet of snow plows to clean the streets. The alleys are not publicly serviced, so if you have a car you may need to get out your shovel or hope another car has paved a pathway for you. If parking on the street during a snowstorm, you may have to dig out your car as the build up from the snow plows can be high, but we typically only have to do that 2-3 times a year max. Also, in some areas you cannot park on a street if there are more than 2 inches of snow. Always look at the street signs where you’re parking! 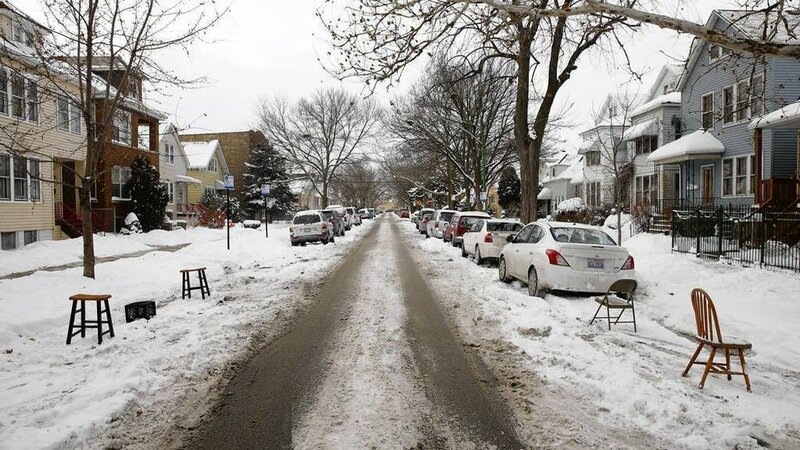 In some neighborhoods you can still find people reserving their shoveled parking spaces with household items such as lawn chairs. In a lot of neighborhoods though, they'd roll their eyes and take your spot anyways. Finders keepers. Are the summers really that good? Why yes, yes they are. I cannot begin to explain how the second the weather starts to warm up, it's as if the entire city pulls itself out of hibernation. It's magical--we love a Chicago summer. From all of the things to do to just being able to relax at the beach (yes, we have actual beaches), we live summer as if it's our first time enjoying the sun. how does parking work in chicago? If you have a car, you need a Chicago City Sticker. You must purchase a Chicago Vehicle Sticker within 30 days of residing in the City or acquiring a new vehicle to avoid late fees and fines. A City Sticker for a passenger car costs about $90. You can buy these online or in stores. If you live within a Residential Parking Zone, you may be eligible to include a Zone Number on your City Sticker at an additional cost of $25 per year (prorated for varying durations). You’re also eligible to purchase Chicago residential Parking Daily Permits, which are guest passes that are valid for 24 hours upon the date and time of display. Each pass is typically <$1. Zoned Parking Permits for more details. Ventra is our public transit pass. It’s contactless so you just tap your card onto the reader and board the L, buses & trains. Where do I buy a Ventra card? • By visiting the Ventra Customer Service Center at 567 W. Lake St. in Chicago. Do I have to physically be there to find a place? Technically, no! We’ve moved people from all over the world who had never even stepped foot in their new Chicago home. Would we prefer you to be? Absolutely. But if need be, we can always take some videos & pictures on your behalf or schedule a FaceTime tour. Your new go to phone number. Car blocking the alley? Call 3-1-1. Issues with your landlord? Call 3-1-1. They can even connect you with the police or fire department. Basically anything you want to know about--they can point you in the right direction. Weather: Dark Sky – Chicago’s weather can be very unpredictable. Always be in the know of when it’s about to rain or snow down to the minute. 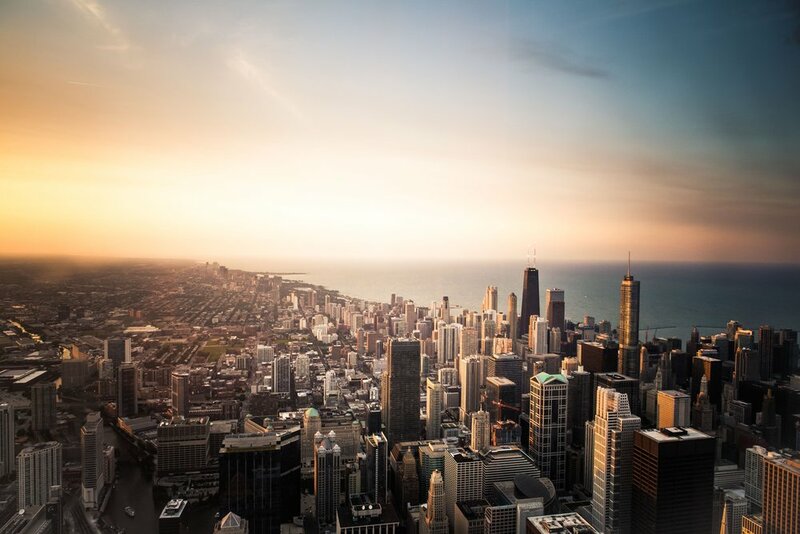 Ready to find your Chicago home? Let's chat. Comment below or ask us any questions about relocating to Chicago!